I always tell my clients not to underestimate this lesser-known area of IP protection. It can be a very powerful tool in the IP toolbox. In both Canada (which uses the term industrial design) and the US (which refers to a design patent), this category of intellectual property only provides protection for ornamental aspects of the design of a product as long as they are not purely functional . To put this another way, features that are dictated solely by a utilitarian function of the article are ineligible for protection. The solid lines on the image above represents a protected design registration filed by Nike. TIP: Placement of a pocket on a t-shirt may not be considered innovative, but even minor differentiators can help distinguish a product in a crowded field. A design registration can support a blended strategy which also deploys other IP protection, such as trademark rights. Every consumer will be intuitively familiar with the power of a brand name such as LULULEMON or NIKE, or the well-known Nike Swoosh Design. That topic is well-covered elsewhere. However, some brands take advantage of a lesser-known area of trademark rights: distinguishing guise protects the shape of the product or its packaging. It differs from industrial design, and one way to consider the distinction is that an industrial design protects new ornamental features of a product from when it is first used, whereas a distinguishing guise can be registered once it has been used in Canada so long that becomes a brand, distinctive of a manufacturer due to extensive use of the mark in the marketplace. It’s worth noting that the in-coming amendments to the Trademarks Act will do away with distinguishing guises. One good example is the well-known shape of CROCS-brand sandals. The shape and appearance of the footwear itself has been used so long that it now functions as a brand to distinguish CROCS from other sandals. Just as with industrial design, the protected features cannot be dictated primarily by a utilitarian function. Others have filed distinguishing guise registrations in Canada, including Canada Goose Inc. for coats and Hermès International for handbags. TIP: For a distinguishing guise application, each applicant will have to file evidence to show that the mark is distinctive in the marketplace in Canada. 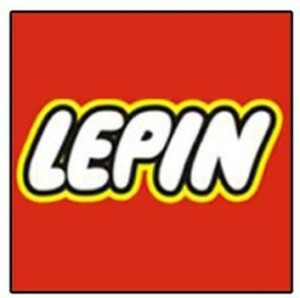 That is not the case with a regular trademark, such a word mark or regular logo design. We review the final areas of IP protection in Part 3. Confidential information or ‘trade secrets’ refers simply to information that has value to a designer or manufacturer because competitors don’t have access to the information. As long as the information is kept secret, and is only disclosed to others in confidence, then the secrets may remain protected as ‘trade secrets’ for many years. The confidential information may be made up of related business information, such as contacts of suppliers, pricing margins, new product ideas or prototype designs. The period of confidentiality may be short-lived in the case of a new product design: once the product is released to customers, it’s no longer confidential. An owner of confidential information must take steps to maintain confidentiality, and the information should only be disclosed under strict terms of confidentiality (as part of a non-disclosure agreement (NDA), or confidentiality agreement). If the confidential information is misappropriated, the owner can seek to enforce its rights by proving that the information has the required quality of confidentiality, the information was disclosed in confidence, and there was an unauthorized use or disclosure in a way that caused harm to the owner. TIP: Ensure that you take practical steps to limit access to the confidential info. And when signing an NDA, make sure it doesn’t contain any terms that might inadvertently compromise confidentiality or give away IP rights. Many apparel and footwear companies rely heavily on patent protection to block competitors and gain an advantage in the marketplace. Let’s take a few examples. In pursuing the ‘holy grail’ of outdoor activewear, many manufacturers are seeking a comfortable, breathable jacket that can keep a wearer warm without overheating. 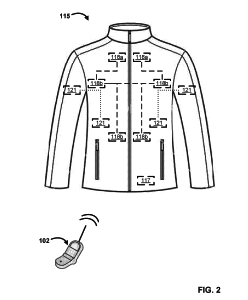 The North Face System recently filed an application for a smart-sensing jacket using sensors to determine a “comfort signature” based on differences in environmental conditions between the sensors and making adjustments for the wearer. A competitor – Under Armour Inc. – is seeking patent protection for garments incorporating printed ceramic materials to retain heat, without sacrificing other performance qualities such as water and dirt repellency, durability, breathability and moisture-wicking qualities. In this patent application, Under Armour is seeking protection not only for the fabric but also the innovative method of manufacturing the fabric. From high-tech jackets to innovative shoe designs, to more specific components, such as garment linings, or improved fasteners, patents can provide a valuable tool to ensure that a company’s research-and-development initiatives can bear fruit in the marketplace. By providing a period of exclusivity for the patent holder, this category of IP protection keeps the field clear of infringing replicas while the company recoups its investments and turns a profit on a successful product technology. 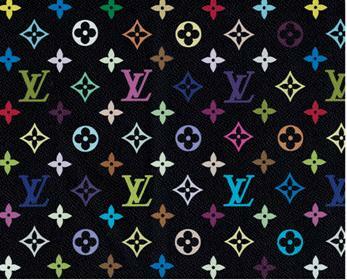 In the case of many fashion or apparel products, the time and cost of patent protection – it may take several years before a valid patent is issued – may not be justified in light of the high turn-over in seasonal product lines, and the ever-shifting tastes of consumers. 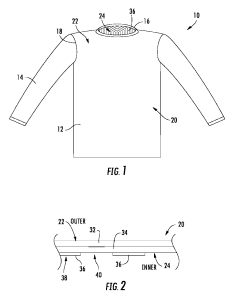 TIP: Make sure you consider both sides of the patent issue: as an inventor, an investment in patent protection may be worth considering, particularly in a product area where the underlying ‘technology’ or innovation may be commercialized over a number of years, such as the famous Gore-Tex fabric, even though superficial fashions may change during that time. On the flip side, manufacturers should take care to ensure that their own designs are not infringing the patent rights of some other patent holder. In 2015 an independent film-maker shot a film critical of the Vancouver aquarium, using some footage over which the Aquarium claimed copyright. The Aquarium moved to block the online publication of the film. In a preliminary injunction, at the “balance of convenience” analysis, freedom of expression should be weighed, particularly in a case such as this, where the documentary film engages a topic of public and social importance. The court affirmed that freedom of expression is among the most fundamental rights possessed by Canadians. The Copyright Act has an exception related to “user-generated content” under section 29.21 of the Act. This unique provision has been somewhat neglected by the courts since it was introduced in 2012. This case remains the sole judicial consideration of section 29.21. At the lower level, the judge did not sufficiently analyze the issue of “fair dealing”, including whether this content qualified as non-commercial user-generated content under s. 29.21. However, we will still have to wait until a trial on the merits, to see how the court will deal with the bounds of non-commercial user-generated content under the Copyright Act. The court sided with the documentary film-maker and set aside the earlier injunction. If this case goes to trial, it will finally provide some guidance on the application of section 29.21. In a decision last year, GSI (Geophysical Service Incorporated) sued to win control over seismic data that it claimed to own. GSI used copyright principles to argue that by creating databases of seismic data, it was the proper owner of the copyright in such data. GSI argued that Encana, by copying and using that data without the consent of GSI, was engaged in copyright infringement. That was the core of GSI’s argument in multi-party litigation, which GSI brought against Encana and about two dozen other industry players, including commercial copying companies and data resellers. The data, originally gathered and “authored” by GSI, was required to be disclosed to regulators under the regime which governs Canadian offshore petroleum resources. Seismic data is licensed to users under strict conditions, and for a fee. Copying the seismic data, by any method or in any form, is not permitted under these license agreements. However, it is customary for many in the industry to acquire copies of the data from the regulator, after the privilege period expired, and many took advantage of this method of accessing such data. A lower court decision in April 2016 (see: Geophysical Service Incorporated v Encana Corporation, 2016 ABQB 230 (CanLII)) agreed with GSI that seismic data could be protected by copyright. However, the court rejected the copyright infringement claims, saying that the regulatory regime permits the regulator to make such materials available for anyone – including industry stakeholders – to view and copy. Thus, GSI’s central infringement claim was dismissed. GSI appealed, and in April, 2017 the Alberta Court of Appeal (Geophysical Service Incorporated v EnCana Corporation, 2017 ABCA 125 (CanLII)) unanimously agreed to uphold the lower court decision and reject GSI’s appeal. The decision confirmed that industry players have a legal right to use and copy such data after expiry of the confidentiality period, and the court was clear that regulators have the “unfettered and unconditional legal right … to disseminate, in their sole discretion as they see fit, all materials acquired … and collected under the Regulatory Regime”. While the regulatory regime in this case does not specify that seismic data may be “copied”, there are extensive provisions about “disclosure”, none of which list any restrictions after expiry or the confidentiality or privilege period. Thus, the ability to copy data is the only rational interpretation which aligns with the objectives of the legislation. This decision will apply not only to the specific area of seismic data, but to any materials which are released to the public pursuant to a similar regulatory regime. Field Law acted for two of the successful respondents in the appeal. If photos are available on the internet, then… they’re free for the taking, right? Wait, that’s not how copyright law works? In the world of copyright, each original image theoretically has an “author” who created the image, and is the first owner of the copyright. The exception to this rule is that an image (or, indeed, any other copyright-protected work), which is created by an employee in the course of employment is owned by the employer. So, an image has an owner, even if that owner chose to post the image online. And copying that image without the permission of the owner could be an infringement of the owner’s copyright. That seemingly simple question was the subject of a lawsuit between two rival companies who are in the business of listing online advertisements for new and used vehicles. Trader Corp. had a head start in the Canadian marketplace with its autotrader.ca website. Trader had the practice of training its employees and contractors to take vehicle photos in a certain way, with certain staging and lighting. A U.S. competitor, CarGurus, entered the market in 2015. It was CarGurus practice to obtain its vehicle images by “indexing” or “scraping” Dealers’ websites. Essentially, the CarGurus software would “crawl” an online image to identify data of interest, and then extract the data for use on the CarGurus site. As part of its “indexing” or “scraping”, the CarGurus site apparently included some photos that were owned by Trader. Although some back-and-forth between the parties resulted in the takedown of a large number of images from the CarGurus site, the dispute boiled over into litigation in late 2015 – the lawsuit by Trader alleged copyright infringement in relation to thousands of photos over which Trader claimed ownership. Trader was only able to establish ownership in 152,532 photos. There were thousands of photos for which Trader could not show convincing evidence of ownership. This speaks to the inherent difficulty in establishing a solid evidentiary record of ownership of individual images across a complex business operation. The court decided that by making the images available to the public in through its framing technique, CarGurus infringed Trader’s copyright. This tells us that copyright infringement can occur even where the infringer is not storing or hosting the copyright-protected work on its own server. Second, CarGurus attempted to mount a “fair dealing” defense. It is not an infringement if the copying is for the purpose of “research or private study.” The court also rejected this argument, saying that even if a consumer was engaged in “research” when viewing the images in the course of car shopping, it would be too much of a stretch to accept that CarGurus was engaged in research. Theirs was clearly a commercial purpose. Lastly, the lawyers for CarGuru argued that, even if infringement did occur, CarGurus should be shielded from any damages award by virtue of section 41.27(1) of the Copyright Act. This provision was originally designed as a “safe harbour” for search engines and other network intermediaries who might inadvertently cache or reproduce copyright-protected works in the course of providing services, provided the search engine or intermediary met the definition of an “information location tool”. Although CarGurus does assist users with search functions (after all, it searches and finds vehicle listings), the court batted away this argument, pointing out that CarGurus cannot be considered an intermediary in the same way a search engine is. This particular subsection has never been the subject of judicial interpretation until now. Having dismissed these defences, the Court assessed damages for copyright infringement at $2.00 per photo, for a total statutory damages award in the amount of $305,064. It’s always exciting when there’s a new decision about an obscure 5-year old subsection of the Copyright Act! Back in 2012, Canada changed its Copyright Act to try and drag it into the 21st century. Among the 2012 changes were provisions to prohibit the circumvention of TPMs. In plain English, this means that breaking digital locks would be a breach of the Copyright Act. In Nintendo of America Inc. v. King and Go Cyber Shopping (2005) Ltd. the Federal Court reviewed subsections 41 and 41.1 of the Act. In this case, the defendant Go Cyber Shopping was sued for circumvention of the TPMs which protected Nintendo’s well-known handheld video game consoles known as the Nintendo DS and 3DS, and the Wii home video game console. Specifically, Nintendo’s TPMs were designed to protect the code in Nintendo’s game cards (in the case of DS and 3DS games) and discs (in the case of Wii games). The defendants were sued for copyright infringement (for the copying of the code and data files in the game cards and discs) and for circumvention of the TPMs. Interestingly (for copyright lawyers), the claim was based on “secondary infringement” which resulted from the authorization of infringing acts when Go Cyber Shopping provided its customers with instructions on how to copy Nintendo’s data. Lastly, Nintendo sought statutory damages, which avoids the need to show actual damages, and instead relies on automatic damages at a set amount. The court has a range from which to pick. Nintendo suggested statutory damages between $294,000 to $11,700,000 for TPM circumvention of 585 different Nintendo Games, based on a statutorily mandated range between $500 and $20,000 per work. For copyright infringement, the evidence showed infringement of 3 so-called “Header Data” files. The court was convinced to award damages at the highest level of the range. In the end the court made an award in favour of Nintendo, setting statutory damages at $11,700,000 for TPM circumvention in respect of its 585 Nintendo Games, and of $60,000 for copyright infringement in respect of the three Header Data works. This shows that TPM circumvention, as a remedy for copyright owners, has real teeth and may, in the right circumstances, easily surpass the damages awarded for copyright infringement. On top of this, the court awarded punitive damages of $1,000,000 in light of the “strong need to deter and denounce such activities.” Total… $12.7 million. Is there copyright in a screenshot? Ever wanted to remove something after it had been swallowed up in the gaping maw of the internet? Then you will relate to this story about an individual’s struggle to have certain content deleted from the self-appointed memory banks of the web. The Federal Court recently rendered a procedural decision in the case of Davydiuk v. Internet Archive Canada and Internet Archive 2016 FC 1313 (for background, visit the Wayback Machine… or see our original post Copyright Implications of a “Right to be Forgotten”? Or How to Take-Down the Internet Archive). For those who forget the details, this case relates to a long-running plan by Mr. Davydiuk to remove certain adult video content in which he appeared about a dozen years ago. He secured the copyright in the videos and all related material including images and photographs, and went about using copyright to remove the online reproductions of the content. In 2009, he discovered that Internet Archive, a defendant in these proceedings, was hosting some of this video material as part of its web archive collection. 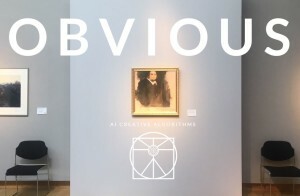 It is Mr. Davydiuk’s apparent goal to remove all of the content from the Internet Archive – not only the video but also associated images, photos, and screenshots taken from the video. When a screenshot is taken from a video, is there sufficient originality for copyright to extend to that screenshot? Or is it a “purely mechanical exercise not capable of copyright protection”? From this, we know that changing font (without more) is NOT sufficient to qualify for the purposes of originality. Making a “mere copy” of another work is also not considered original. For example, an exact replica photo of a photo is not original, and the replica photo will not enjoy copyright protection. So where does a screenshot fall? The Internet Archive argued that the video screenshots were not like original photographs, but more like a photo of a photo – a mere unoriginal copy of a work requiring a trivial effort. On the other side, the plaintiff argued that someone had to make a decision in selecting which screenshots to extract from the original video, and this represented an exercise of sufficient “skill and judgment”. The SCC did not say that the bar for “skill and judgment” is very high – it just has to be higher than a purely mechanical exercise. At this stage in the lawsuit, the court merely found that there was enough evidence to show that this is a genuine issue. In other words, the issue is a live one, and it has to be assessed with the benefit of all the evidence. So far, the issue of copyright in a screenshot is still undetermined, but we can see from the court’s reasoning that if there is evidence of the exercise of “skill and judgment” involved in the decision-making process as to which particular screenshots to take, then these screenshots will be capable of supporting copyright protection. What happens to a license for seismic data when the licensee suffers a bankruptcy event? In Part 1, we looked at a case of bankruptcy of the IP owner. However, what about the case where the licensee is bankrupt? In the case of seismic, we’re talking about the bankruptcy of the company that is licensed to use the seismic data. Most seismic data agreements are licenses to use a certain dataset subject to certain restrictions. Remember, licences are simply contractual rights. A trustee or receiver of a bankrupt licensee is not bound by the contracts of the bankrupt company, nor is the trustee or receiver personally liable for the performance of those contracts. The only limitation is that a trustee cannot disclaim or cancel a contract that has granted a property right. However, a seismic data license agreement does not grant a property right; it does not transfer a property interest in the data. It’s merely a contractual right to use. Bankruptcy trustees have the ability to disclaim these license agreements. Can a trustee transfer the license to a new owner? If the seismic data license is not otherwise terminated on bankruptcy of the licensee, and depending on the assignment provisions within that license agreement, then it may be possible for the trustee to transfer the license to a new licensee. Transfer fees are often payable under the terms of the license. Assuming transfer is permitted, the transfer is not a transfer of ownership of the underlying dataset, but a transfer of the license agreement which grants a right to use that dataset. The underlying seismic data is copyright-protected data that is owned by a particular owner. Even if a copy of that dataset is “sold” to a new owner in the course of a bankruptcy sale, it does not result in a transfer of ownership of the copyright in the seismic data, but rather merely a transfer of the license agreement to use that data subject to certain restrictions and conditions. A purchaser who acquires a seismic data license as part of a bankruptcy sale is merely acquiring a limited right to use, not an unrestricted ownership interest in the data. The purchaser is stepping into the shoes of the bankrupt licensee and can only acquire the scope of rights enjoyed by the original licensee – neither more nor less. Any use of that data by the new licensee outside the scope of those rights would be a breach of the license agreement, and may constitute copyright infringement. ipbog.ca turns 10 this month. It’s been a decade since our first post in October 2006 and to commemorate this milestone …since no-one else will… let’s have a look at IP rights and birthdays. You may have heard that the lyrics and music to the song “Happy Birthday” were the subject of a protracted copyright battle. The lawsuit came as a surprise to many people, considering this is the “world’s most popular song” (apparently beating out Zeppelin’s Stairway to Heaven, but that’s another copyright story for another time). Warner Music Group claimed that they owned the copyright to “Happy Birthday”, and when the song was used for commercial purposes (movies, TV shows, commercials), Warner Music extracted license fees, to the tune of $2 million each year. When this copyright claim was finally challenged, a US court ruled that Warner Music did not hold valid copyright, resulting in a $14 million settlement of the decades-old dispute in 2016. The Section 9 Official Mark below, depicting a skunk or possibly a squirrel with a top hat, to celebrate Toronto’s sesquicentennial. Hey, don’t be too hard on Toronto, it was the ’80s. Another Section 9 Official Mark, the more staid “HAPPY BIRTHDAY VANCOUVER 1886-1986” to celebrate that city’s centennial. Because nothing says ‘let’s party’ like the words HAPPY BIRTHDAY VANCOUVER 1886-1986. Cartier’s marks HAPPY BIRTHDAY (TMA511885 and TMA779496) in association with handbags, eyeglasses and pens. Mattel’s mark HAPPY BIRTHDAY (TMA221857) in association with dolls and doll clothing. The mark HAPPY BIRTHDAY VINEYARDS (pending) for wine, not to be confused with BIRTHDAY CAKE VINEYARDS (also pending) also for wine. And for those who can’t wait until their full birthday there’s the registered mark HALFYBIRTHDAY (TMA833899 and TMA819609) for greeting cards and software. The registered mark BIRTHDAY BLISS (TMA825157) for “study programs in the field of spiritual and religious development”. Let’s not forget BIRTHDAYTOWN (TMA876458) for novelty items such as “key chains, crests and badges, flags, pennants, photos, postcards, photo albums, drinking glasses and tumblers, mugs, posters, pens, pencils, stick pins, window decals and stickers”. Of course, no trademark list would be complete without including McDonald’s MCBIRTHDAY mark (TMA389326) for restaurant services. So, pop open a bottle of branded wine and enjoy some live cut floral arrangements and a McBirthday® burger as you peruse a decade’s worth of Canadian IP law commentary. It is CIPA’s position that IP rights holders should expect “business as usual” in the next few years, since existing UK national IP rights are unaffected, European patents and applications remain unaffected, and the UK Government has not even taken steps to trigger “Article 50” which would put in motion the formal bureaucratic machinery to leave the EU. This step is not expected until late 2016 or early 2017, which means the final exit may not occur until 2019. Canadian rightsholders who have UK or EU-based IP rights are encouraged to consult IP counsel regarding their IP rights.